I made it! 3 years ago I saw the Eating Disorders International Conference 2016 advertised on a poster at the front door of the specialist eating disorder unit I was voluntarily admitted to at the time. I was desperate to go because I wanted to learn more about the illness I was suffering with, but more significantly, I just wanted to meet other people that would know exactly what I was going through! I knew that the conference was not going to be discussing any magic cures, but I hoped that if I attended then I would at least be able to hear of some positive treatment developments or stories of hope; but unfortunately, the cost of the tickets was so expensive and if I am honest, treatment became so intense that it soon became a distant memory. 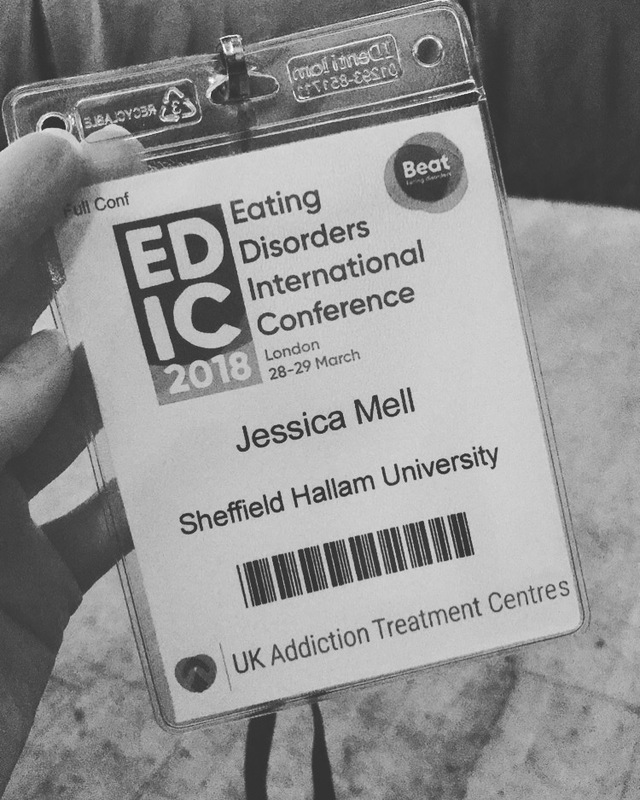 Fast forward a couple of years and whilst planning Sheffield Hallam SU Student Minds’ involvement in Beat’s Sock It to Eating Disorders campaign, an advertisement for Eating Disorders International Conference 2018 caught my eye. As soon as I saw the line up of keynote speakers, short papers and workshops I was desperate to go. 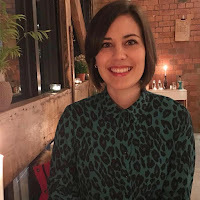 There were so many amazing researchers, clinicians and individuals with lived experience attending that I wanted to listen, learn and talk to people that are just as passionate as I am about raising awareness of eating disorders. If anybody knows my parents, you will know that as soon as I mentioned the conference, there was absolutely no way that I was not going to be attending. If anybody doesn’t know my parents, then firstly, I am sorry because they are the most amazing people that you will ever meet, but secondly, they believe that every opportunity is just that, an opportunity, which is why they so kindly enabled me to attend! I can honestly say that I have never left an event feeling so enthused, motivated and fascinated. At the end of both days I walked away feeling so incredibly passionate about this field and wanting to start a career supporting those that are suffering. Hearing of individuals that have spent their whole lives devoted to researching eating disorders, developing treatment methods or investigating the risk factors for developing the illness was awe inspiring; I wanted to thank each and every one of them for everything that they do! I have always been thankful of professionals for their role in my recovery and I think that this conference showcased the role that they have exceptionally well. However, what I thought was the most important message of the event, and what I am going to focus this blog post on, is the role of the carer in the treatment of somebody suffering with an eating disorder. I am not lying when I say that as soon as I returned to my hotel room, I rang my parents and repeatedly thanked them for everything. To this day, I still have flashbacks about some of the aggressive tantrums that I had or the lies I told them and I feel overwhelmed with guilt. I remember accusing them of putting fat in my food, ‘victimising’ me by serving a larger portion size or watching their every move in the kitchen. It makes me feel ashamed and I cannot imagine how hard I made their life. However, this conference made me put myself in the role of a carer in that situation and although I still felt incredibly guilty, it did make me realise that actually, this was not me and that I was not the only person in the world at that time causing this kind of tension within a household. Whilst on the phone to my parents after the first day at the conference, we actually discussed which kind of animals they embodied following the theories of the wonderful Janet Treasure in her book ‘Skills-based Learning for Caring for a Loved One with an Eating Disorder: The New Maudsley Method’! I think that these kinds of discussions have been crucial in my recovery because it makes me realise that my parents tried so hard to understand what I was going through and that has enabled them to acknowledge that I never intended to cause them any pain, it was just my way of dealing with the horrific situation I was experiencing in my head at that time. Dad was a little bit more of a cross between a St Bernard and a Rhino- he was calm and compassionate but did not let the eating disorder win. I will admit, most of the time I hated this because I knew he was right! But I needed this type of support to help reduce my continuously escalating reactions and stabilise my emotions. Even now, I remember a few days before I begged for a bed in hospital, I sat curled up on my Dad’s knee crying and I told him that I could not do it any more. With his arms wrapped around me, he instilled hope in me, whispering that he knew I could. At that moment, that was exactly what I needed- a calm, soothing, familiar voice convincing me that I was going to through it. Reflecting on the role of a carer has made me think so much more about how important they are in a sufferer’s recovery. I think this has really highlighted to me how much more support carers need to be offered, at all stages! Firstly, they need to be educated about what to look out for and how to deal with starting a conversation about their concerns. Secondly, they need to be well informed about all of the support options available for their loved one and they need to be offered support for themselves! Finally, they need to be aware of what recovery looks like and how they can support their loved one throughout every stage. I think this is so crucial within any support network, not only for the sufferer’s wellbeing, but also for their wellbeing. There was so much that I learnt at this conference and it would be impossible for me to be able to reflect on every single piece of knowledge I gained. However, I just want to thank Beat and all of the organisers of this amazing conference. Also, I want to give a special thank you to all of the Beat ambassadors and volunteers- speaking to you during the 2 day event has made me feel incredibly inspired to continue with my efforts to support others and raise awareness of eating disorders. I hope I can attend the next conference in the near future!